The Cannes Lions International Festival of Creativity is the biggest celebration of creativity and innovation in advertising and transmedia, an annual event taking place in Cannes, France that brings the best and the brightest in advertising together for a week of inspiration, fast-paced networking, glitzy parties and coveted awards. For this year’s festival, Zoic Studios was asked by Leo Burnett Chicago Executive Producer/Creative Director Juan Woodbury to create never before seen experiential visuals for the festival’s official opening and closing galas. To create something truly unique, Zoic’s creative team utilized the newly released Unreal 4 game engine to to create a mythical creature that could perform live on large projection screens. 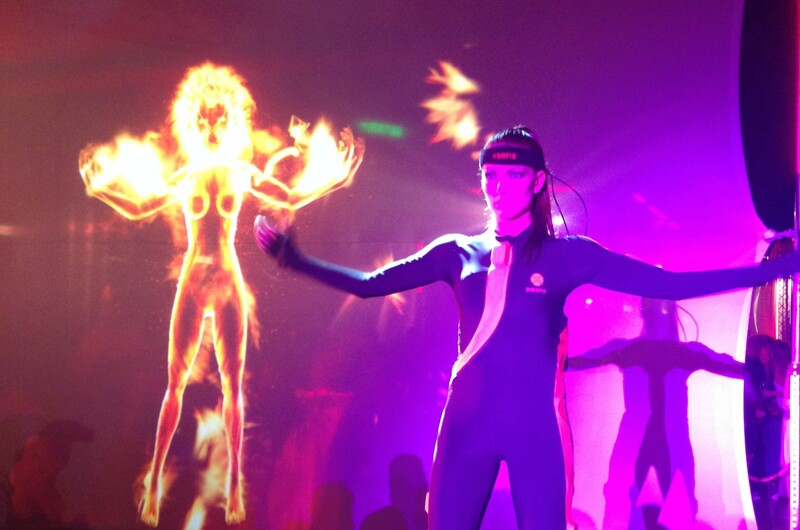 Custom software developed by Zoic Studios enabled the live connection between a dancer wearing an XSens motion capture suit and the digital creature, animating the lioness creature in real-time reaction to the dancers moves. 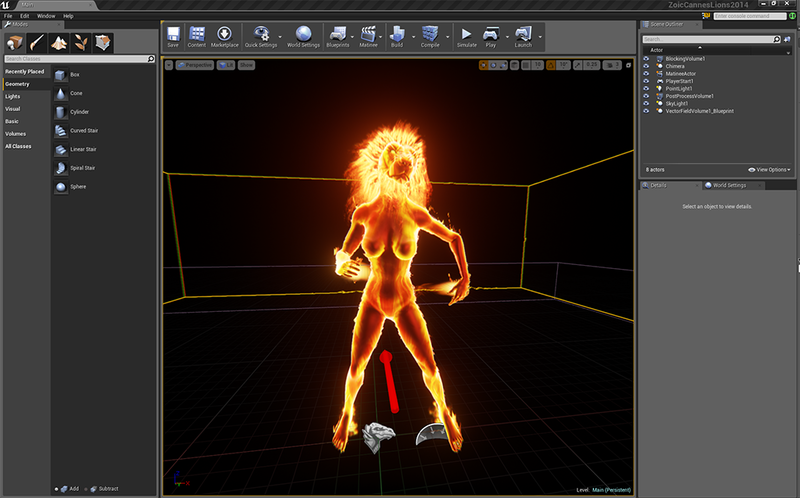 Special moves and controls were build that allowed the dancer to trigger events like particle explosions and flamethrower-like effects as she danced to the music of stars like Ne-Yo and N.A.S.A. The Cannes Lions opening and closing galas are the biggest events at the festival and having the opportunity to show Zoic’s capabilities with game engine technology was a great opportunity. 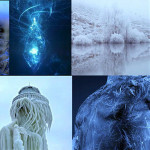 This year’s themes were fire for the opening and ice for the closing gala, so early on in the project we determined that it would be best to create a shared visual language for both events, choosing to play off the individual themes to create two distinct, yet cohesive visual experiences. Based on Creative Director Juan Woodbury’s character concept of a Cannes Lions chimera, Zoic developed an extensive design deck that identified the visual direction of the final characters, guaranteeing that nothing of the initial high level concept would be lost in the translation from idea to real time rendered character. To make the characters move we collaborated with our friends at XSens, who are the creators of the MVN motion capture system, a wireless motion capture solution that will not only allow you to record motion data but also stream it live over a network connection. This gave us the technology we needed to create the live performance that we were looking for. Due to MVN’s simple setup and wireless nature we were able to have our dancer get on stage and start controlling the character multiple times during the galas while leaving the crowd guessing how the whole thing worked. All the final components of the experience were brought together by Zoic’s games & technology group in the latest release of Epic’s Unreal Engine. By developing unique software components and configuring a computer capable of rendering all the detail in a full HD resolution at more than 30 frames per second Zoic delivered a complete package for the event. 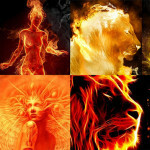 Creating effects like fire, smoke and snow has always been a challenge in computer graphics and having to do this while still rendering frames in real time presented an even larger challenge. 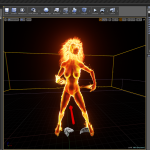 Fortunately the GPU based particle system in Unreal Engine 4 allowed our team to create detailed looking effects that used millions of particles to create the illusion of a character that was engulfed in flames or dancing through streams of snow.